For instance, I can tell you the BEST time to go and avoid the crowds, while saving a lot of your hard earned money at the same time. I can also tell you the secret little spots on the Cape that most people don't know about. I can also tell you the best lodging options whether you want cheap or luxury accommodations. Looking for the best restaurants? I can definitely help you there! The Cape is a beautiful island (yes it is an island) that swells in the summer months with tourists from all over North America and abroad. In the fall, there is a real slowing of time as the Cape's weather starts to change and the tourists disappear. The winter can be fierce at times but there is an almost eerie stillness that envelopes the land and is very peaceful. The spring comes early to this part of New England with fresh salty air and promises of a new day. So, before you head on down to Cape Cod for your next vacation, sit back, grab a cup of coffee (or tea if you prefer) and let me share my years worth of experience with you. 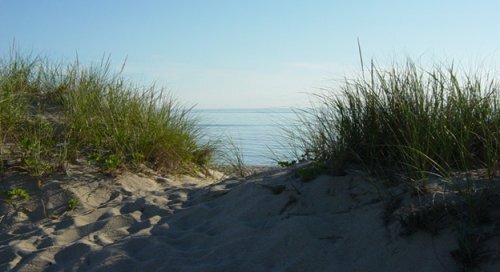 You will make the most of your short time on the Cape and feel richer for it.